Hi! We're Sampson and Delilah! 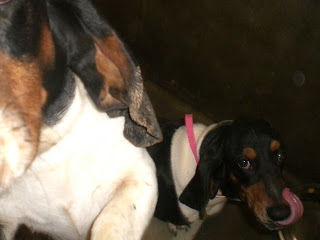 We are two year old Basset hound siblings. Sampson is the male, of course, and Delilah is the female. Chuck told Susan the dog lady about us so she made sure to swing by and say hello. We were owner surrendered on July 30 and we live in C317. We got real excited when Susan came into our cage to greet us. She wasn't able to stay very long because so many people were asking her for help. If you see one of us wearing a pink tag, that's Delilah, and the one wearing a blue tag is Sampson. 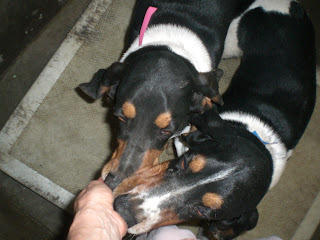 We were so excited that we didn't mind our doggy manners very well when Susan started giving us a few treats. But she got a few good pictures of us! It would be GREAT if somebody would take both of us because we are close siblings. 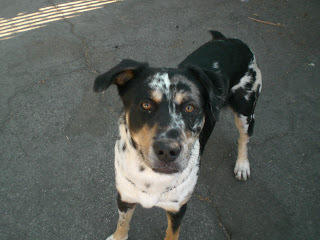 But even if you can't, please come down to the Carson shelter and say hello and consider adopting a dog here. 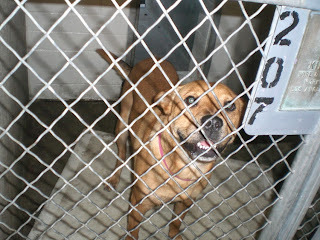 My name is Queenie, or Queen, and I am a one year old shepherd/labrador mix. 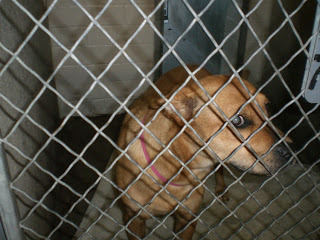 I was owner surrendered on July 27. Right now I live in C207. It was really busy tonight and Susan the dog lady did not have a chance to greet all the dogs as she normally does. But she did briefly say hello to me and took my pictures. Please stop by and say hi! My name is Pogo. I am a 5 month old male something! Susan the dog lady is not sure, and the breed information was scratched out on my kennel card. Right now I live in C233. I was owner surrendered on July 23. There are lots of us dogs here at the Carson shelter. Lucy has been here longer than I have and sure could use a home. Won't you come on down and say hello and maybe adopt one of us? Hi, my name is Pookie. I am a 3 year old male terrier mix. I was owner surrendered on July 25. Right now I am living in C229. Susan the dog lady and I have never met. Today was her first visit back from vacation and it was very busy here at the Carson shelter, with people waiting in line for an hour, so we didn't have much chance to get acquainted. She did manage to take these photos of me at closing time. Hi, my name is Buddy! I am about 18 months old. 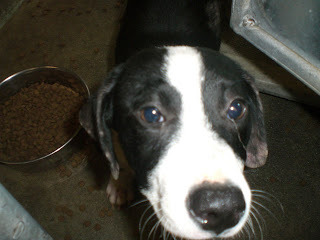 I am a male brown and merle Australian Shepherd mix (maybe with Cattle Dog). I live here at the Carson shelter in C207. Susan the dog lady and I finally got to meet each other tonight. It was sort of hot so I didn't feel very much like chasing anything she threw while we were playing. She says I have a slight shyness and a little caution in my personality, but I am a good dog. Susan is going to be on vacation until the 24th. Duke and Lucy and a lot of great dogs here need homes. Please come on down and say hello and consider adopting one of us! Hi! 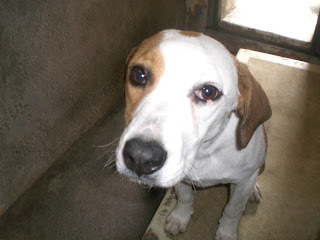 My name is Rita, and I am a three year old Beagle mix. I live in C129 with my roommate Ling-Ling. I look a lot like another dog here named Lucy, but we are not siblings. We both have super sweet personalities though. Officially I am not quite available yet. I was brought in on July 1 as a stray. 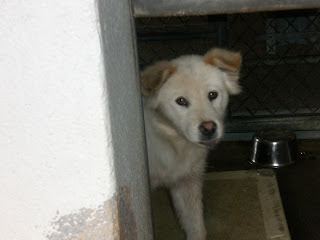 Ling-Ling is a one year old female Chow mix. She is a bit shy, but will happily eat treats Susan the dog lady throws her. She is a stray brought in on July 1 too. Things are getting crowded here at the pound and we sure could use some loving homes. Please come down, say hello, and consider adopting one of us or one of our compadres here. 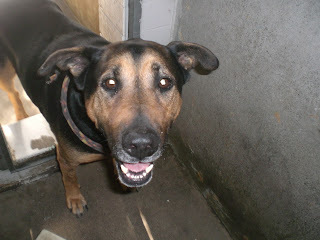 My name is Lonnie, and I am 4 year old male Rottweiler-Shepherd mix. 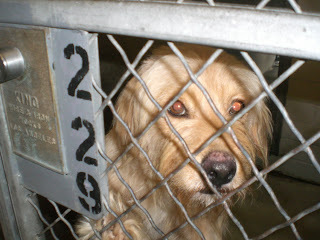 I was owner surrendered on June 30. Right now I am in C213, with Louise, who is a great roommate. 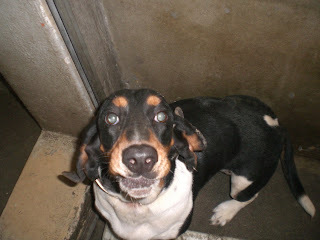 By the way, Louise has been here since March and will be euthanized soon if she does not get adopted! 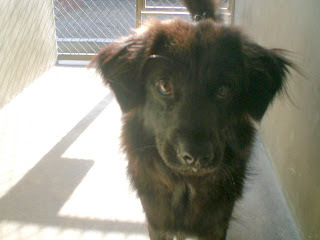 There are lots of great dogs here at the shelter. So please, won't you come down to the shelter, say hello, and maybe take one of us home? Hi, my name is Jilly. 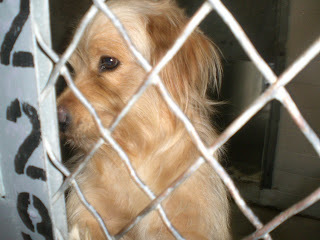 I am a 3 year old female spaniel mix, and I was owner surrendered. Right now I live in C244. I am a little shy. Susan the dog lady came down on the 4th of July to make sure us dogs had clean places to lie down inside our cages, and water to drink. She came in to my cage and played a game with me in which she threw yummy treats and I chased after them. You can see from my photo that I came right up to her to say hi! I'd like to play that game with somebody in a new home. 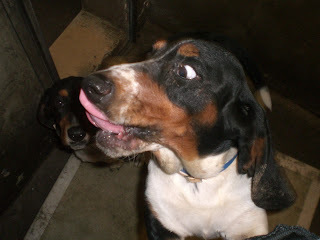 Won't you come on down here to the Carson shelter and say hello?